In a world driven by 24-hour cable news cycles, newspaper “editions” appearing on line as fast as a story breaks, and growing public interest in what business, government and community organizations are doing, means that a growing number of people are finding themselves facing a television camera, a radio microphone or a reporter on the other side of the desk. 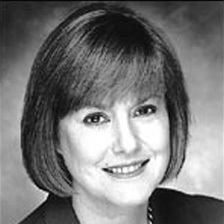 Kathryn Kiefer is the only communications consultant in the St. Louis area with a proven track record in the media that demonstrates she knows what it takes to communicate effectively. She has interviewed thousands of people as a television news reporter and anchor, and has also worked as a newspaper columnist. She understands the real world of journalism. Her own experience means that she knows what it’s like for you in front on camera or sitting across from a reporter. More important, she knows what you need to understand about communicating effectively when being interviewed. She has helped hundreds of executives, practicing professionals, managers and entrepreneurs in the U.S. and Canada prepare for an interview or other news media opportunity. Some of these people were getting ready for a scheduled interview; some were in high profile positions where the phone could ring at any time with reporters wanting to ask about something involving the company, the industry or the organization. Media training means learning the essence of how to be interviewed. Why “no comment” is never the right answer to a reporter. How to find and use your key message in the interview. How word pictures will convey your point and make you a better interview subject. How to answer the answer, not just the question. How to help ensure you’re not misquoted, or quoted out of context. We work with you to adapt to the new skills you learn, help you structure how and what you say to the way your audience will actually hear your message. To learn more about media training, please contact us.